What are Loop Pile Carpets? Are They Good for Homes? Buying a carpet for home is undoubtedly one of the important decisions people make and they always want something that fits with their lifestyle as well as with their home’s interior decor. What is a loop pile carpet, is a question many of us would ask especially because of being unfamiliar with this professional name for this carpet type. The loop pile carpets are stylish and sturdy. They are made of uncut loops of yarn in flat as well as textured designs. The loop pile carpets are mostly placed in the stairs, hallways, living rooms and all other high traffic areas because of their ability to withstand the toughest treatment. Are Loop Pile Carpets Long Lasting? 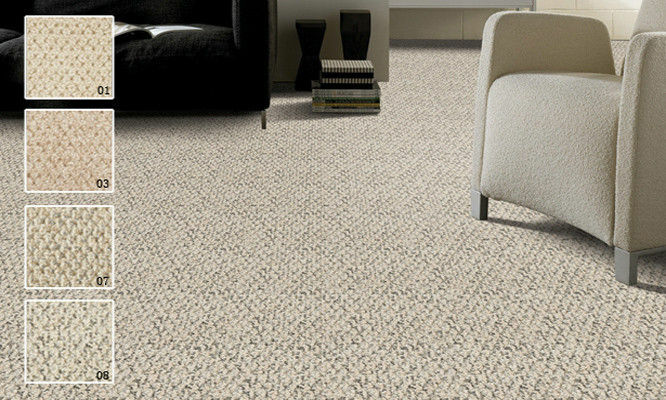 As mentioned above, the loop pile carpets are extremely durable and hard-wearing. In fact, their durability is the reason they are popular all over the world. They have the ability to stand up against high traffic. The homes where children make a great deal of mess and treat the floor very rough, the loop pile carpet is an ideal choice by modern interior designers in Pakistan. Besides, the loop pile carpets are easiest to clean which makes them even more long lasting. However, for homes with pets the loop pile carpets are not recommended at all, as they are made out of loops and they can get caught and ripped by their claws. How Long Loop Pile Carpet Can Last? To last long, everything requires proper care and cleaning. If taken right care of a loop pile carpet it can last up to twenty years or even more. Despite high traffic, this carpet won’t show any signs of wear and tear. Easy maintenance makes this type of carpet, one of the best flooring priorities for homes across the world. To prevent stains and make your loop pile carpet last long, you should regularly vacuum it on suction only mode and should immediately vacuum any spillages. Moreover, while repositioning furniture, you should always be careful in order to minimize the chances of tears or damage. Is Loop Pile Carpet Soft? The reason behind the popularity of a loop pile carpet is not just its durability and ease of maintenance. In fact, this carpet is extremely soft as well as highly comfortable to walk on. The ultimate underfoot comfort it offers is second to no other type of flooring. Does Loop Pile Carpet Require Underlay? Since this carpet itself is thick and super soft, so many people do not feel the need to install underlay below these carpets. However, home construction, design and furnishing experts like AmerAdnan suggest installing underlay not only for adding extra softness, but also to ensure the longevity for these carpets. Before you finally purchase a carpet, make sure to get advice from a home furnishing expert. Besides, you should always invest in good brands instead of opting for unbranded cheaper carpets.